With winter slowly approaching, we are all in the space of making sure our homes are clean, fresh and uncluttered and our decorative aluminium shutters are a perfect start. Snuggling under the covers or curling up at the fireplace are perfect winter pastimes which easily outweigh tiding up, so let’s try and make it easier for you. Cleaning up and throwing out the unnecessary has been a massive trend this year. It spawns from the minimalism art trend, where less speaks volumes. De-cluttering is all the range. Keeping a minimalist aesthetic in your home is very easy when done well. 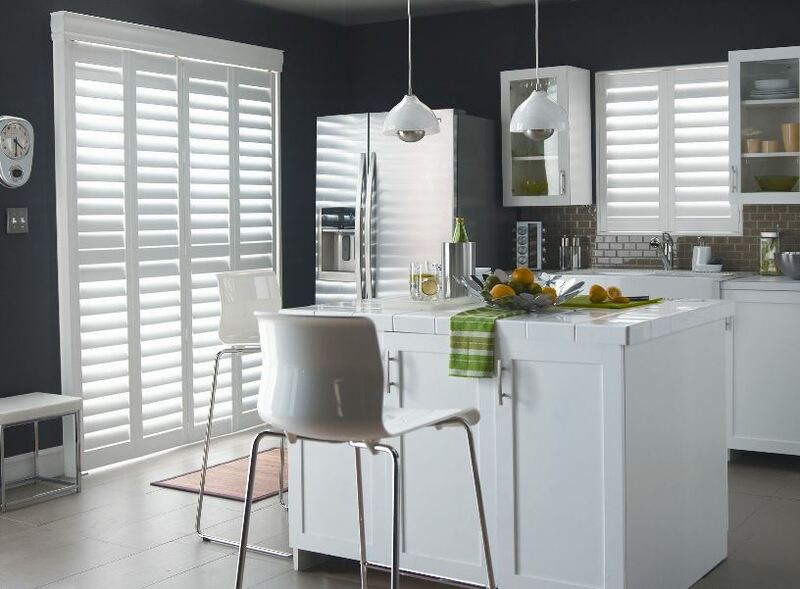 This can be tailored from the type of furniture you select to the shutters you install in your home. Here are few tips for keeping a minimalist home by adding our decorative aluminium shutters to your décor. Getting rid of everything you no longer need is the hardest step in this process. We all tend to hold onto things we haven’t used in years. Little, do we know, holding onto these items can cause unwanted anxiety and stress? They pile up and cramp our style, take up breathing room in our space. With the use of aluminium shutters, you add light to your space, giving you and your room more space to breathe. Heavy curtains can be counter-intuitive to creating openness and freeing up space. Having open spaces with no clutter is vital to a minimalist lifestyle. Our narrower aluminium shutter frames are the ideal solution. Here you are encouraged to fill the spaces with items you need to make your life more productive. Selecting a neutral base colour aluminium shutter that doesn’t need cleaning often is a great way to help free up more of your time, so you can spend more time with your family or focusing on things that make you happy. Quality time with family is so important in our busy lives and also helps relieve stress and anxiety. It is vital to select a neutral colour base to keep in line with the minimal aesthetic. For example white tones, black shades or wood tones. If you are going for a white based décor scheme, you could break this by selecting a wood toned aluminium shutter (beige, taupe or cream). Redecorating can be an expensive exercise, but well worth it. Keeping minimalist ideals in mind can be costly because you are opting to go for quality over quantity, but purchasing quality fixtures and furniture is an investment you need only make once. Get a great couch, beautiful pieces of furniture and invest in good quality decorative aluminium shutters. Time and elements take their toll on blinds and curtains. Aluminium shutters are ideal as they give the space texture, style and a clean finish which speak to a minimalist aesthetic. By going with the option of shutters, you are killing two birds with one stone essentially. Aluminium shutters are both functional and add to the overall look of the space with its clean lines, concealed mechanisms – which ticks all your minimalist boxes. This entry was posted in Aluminium Shutters and tagged Aluminium shutters, Shutters.